A layer of mulch looks nice and helps conserve water in the landscape. 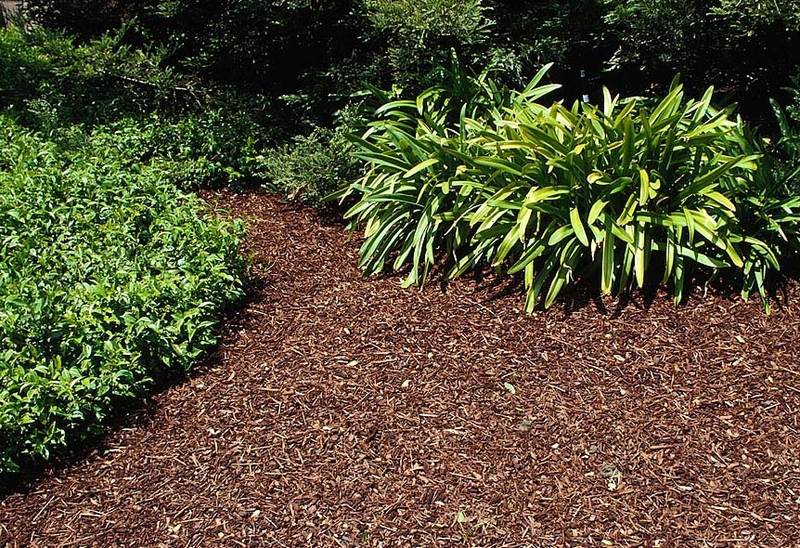 Mulch adds a finished, woodland-like quality to the garden, but that's not the only reason to spread organic matter on the soil surface. A layer of mulch conserves soil moisture, moderates soil temperature, and inhibits weeds, says Missy Gable, director of the UC Master Gardener Program, in the latest episode of UC Agriculture and Natural Resources' six-part home landscape water conservation video series. Gable recommends the soil in home landscapes be covered with two to four inches of a fine- to medium-shred bark mulch. The mulch should not be applied too close to the bases of the plants so they won't be susceptible to rot. 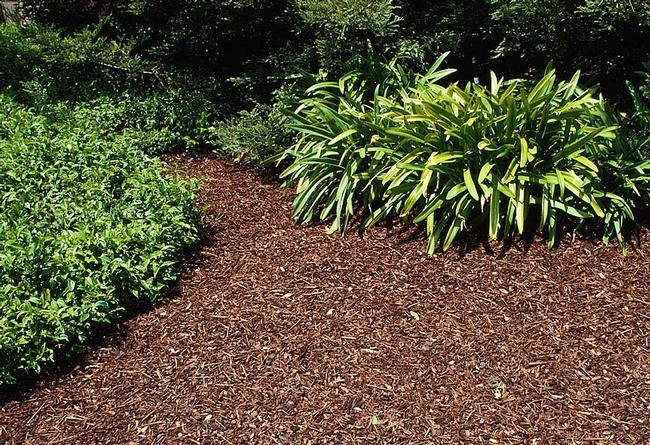 UC Master Gardeners in Sonoma County have provided detailed information about various types of mulch, their benefits and drawbacks. For example, straw is a common, effective and inexpensive mulch. Alfalfa hay or pellets are more expensive, but because they are rich in nitrogen, give plants a nutrient boost. Barks and hulls make an attractive, natural-looking surface. These products are often available at hardware and garden stores in bags, and in bulk at landscaping material suppliers. Another cost-effective mulch is yard waste. Fallen leaves, grass clippings and chopped plant clippings of any kind can be spread on the soil surface to enhance and protect the soil, while reducing water evaporation. The videos are also available on the UC ANR YouTube channel. Coming next week, a video about using fertilizers under drought conditions. Great post. If I may add something: It is advisable to avoid packing the mulch up against the tree. I see many people doing this and it's not the best way to go.